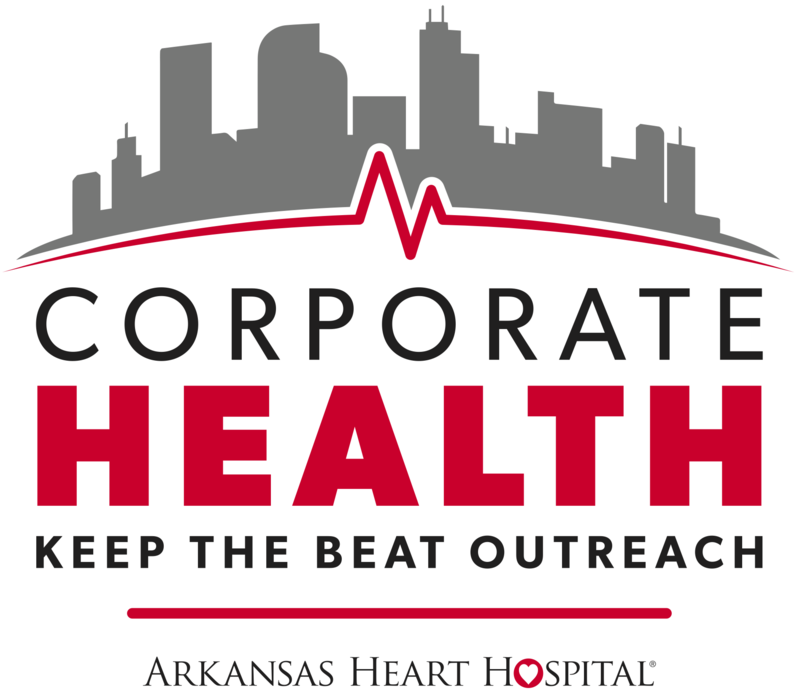 The Arkansas Heart Hospital Corporate Health Team brings Health and Wellness directly to your business or organization. At the Arkansas Heart Hospital, we are not focused solely on fixing a problem after an event occurs, but also on the preventative measures that can keep one of these events from occurring at all. Heart disease is the #1 cause of death in Arkansas and America. The total cardiovascular disease death rate in Arkansas is the 7th highest in the U.S. per the American Heart Association’s Cardiovascular Diseases in the United States: 2009 report. Heart disease also costs businesses hundreds of billions of dollars in medical expenses and lost productivity. It is estimated that by 2030, medical costs associated with cardiovascular disease are projected to rise to more than $818 billion and lost productivity costs are projected to rise to more than $275 billon. Surprisingly a large number of those suffering from heart disease do not have any obvious outward signs; for many, their very first symptom is a heart attack. Our Corporate Health Team is here to help assess your cardiovascular risk and then help you move in a direction that may keep you and your employees from becoming a statistic. Our Corporate Health Team is focused on helping your business or organization stay Heart Healthy through on-site Wellness Labs and Heart Screenings. Through these screenings you can consistently monitor the health of employees and organization members by seeing results that can not only maintain your current Wellness standards but also aid in the early detection of possible unknown issues. *All wellness labs are processed by our in-house Arkansas Heart Hospital lab technicians. *All heart screenings are individually read by an Arkansas Heart Hospital physician. From Cardiovascular Health to a Cooking Demo by one of our Chefs, we would love to help the total wellness of your business or organization by bringing one of many Arkansas Heart Hospital experts to you to help educate your employees on a variety of topics. We believe that the prevention of Heart Disease begins at an early age. Because the Heart Screenings are ultrasound-based, there is no age requirement to receive our screenings. On top of that, our screenings are safely and effectively performed as often as preferred. For more information, please contact our Corporate Health Team at jordan.bone@arheart.com or call 501.944.4307.